Carthage Advisors is led by Edward Poteat. Mr. Poteat began his career in Affordable Housing in the Real Estate Investment unit of Chase Manhattan Bank. He was also a lender in the Chase Manhattan Community Development Corporation. Besides his career in banking, Mr. Poteat was also active in his community as a member in the Community Board and member of several community organizations. Mr. Poteat combines community sensitive initiatives with creative financial structures to achieve a win-win solution for the client of Carthage Advisors. His unique experience as Commercial Lender and Community Activist guides Carthage Advisor’s principles. 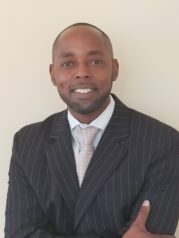 Ed Poteat holds a Bachelor’s Degree in Economics and Urban Planning from Yale University and a Master’s Degree in Urban Planning from Hunter College. Currently, Mr. Poteat sits on the board of Citizen Housing and Planning Council and is an Advisory Board Member of the New York City Housing Partnership. Edward is currently an Adjunct Professor at Columbia University. Jerrod Delaine is Carthage’s real estate asset management and construction director. He began his career as a Project Manager in an architecture and interior design firm. His projects included affordable housing, market rate housing, condominiums, senior housing, and hospitality. Mr. Delaine has made the transition into real estate fulfilling a number of roles including development due diligence, project management, construction management, asset management, property management, sustainability consultant and financier. Currently, Mr. Delaine is involved with Carthage new deal analysis, the closing process as well as existing project management. Jerrod Delaine holds a Bachelor of Science and a Professional Bachelors of Architecture degree from Florida A & M University. He has also earned a Master’s of Science in Real Estate Development from New York University. Dwayne Jeffrey began his real estate career as a loan officer with the New York Capital Exchange Corp and quickly became a top producer in the company, closing over 180 transactions in 4 years. After NYCE, Mr. Jeffrey started a real estate consulting company providing acquisition, rehabilitation, and financial structuring of distressed multi-family real estate projects. Mr. Jeffrey was simultaneously a partner in real estate syndication company focus on multi-family projects in New York City and Albany, wherein he was responsible for sourcing capital from high net worth individuals. At Carthage Mr. Jeffrey’s main responsibility is sourcing and analysis multi-family projects throughout New York, New Jersey, Connecticut, Pennsylvania, and Maryland. Mr. Jeffrey holds a Bachelor of Science in Marketing from St. Johns University. He currently is on the Board of the African American Real Estate Professionals National Association and president of the local chapter. Ruo Piao Chen pivoted from architecture to real estate development when she realized her passion for affordable housing would help her make a difference in fellow New Yorkers’ lives. 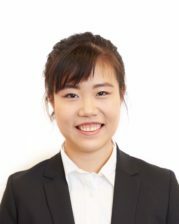 A recipient of the Ronald E. McNair Scholarship for personal research, Ruo is dedicated to a cross-disciplinary approach to complex urban development issues. She holds a Bachelor of Architecture degree from Syracuse University and a Master of Science in Real Estate Development degree from Columbia University. Outside the office, Ruo is a competitive Muay Thai fighter. 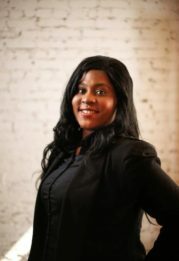 Neneh Koroma is the paralegal and office manager at Carthage Real Estate Advisors. Ms. Koroma started her career working as a paralegal for New York Housing Authority landlord & tenant law department. She provided legal and administrative assistance for various general counsels in property, residential and commercial real estate. Ms. Koroma holds a Bachelor of Science in Legal Studies and Communication from St. Johns University. In addition, Ms. Koroma is the president of the NAACP Youth & College Division.